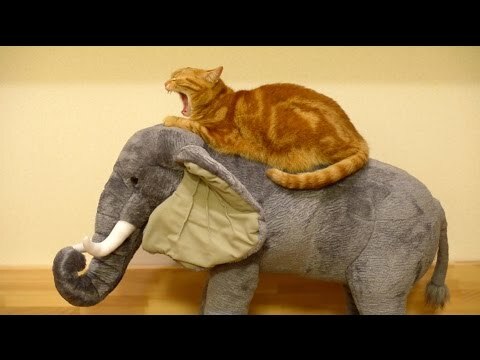 There are 3 cat videos tagged with elephant. 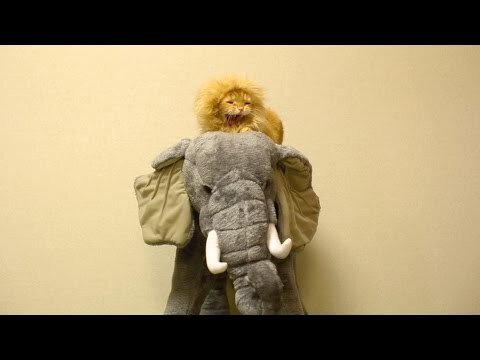 Watch as Kojiro the orange kitty rides on his favorite toy elephant. He does everything from sleeping to falling off of it. 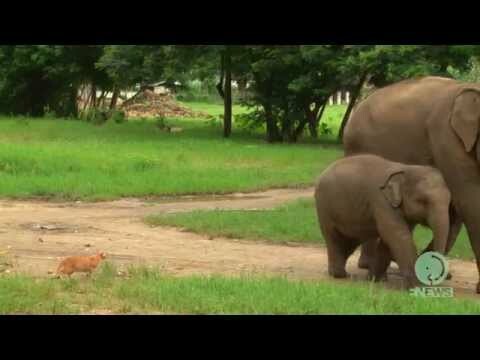 Two orange kitties hang out with their stuffed animal toy elephant. Maru and Kojiro are parent and child and they both enjoy playing with the toy!